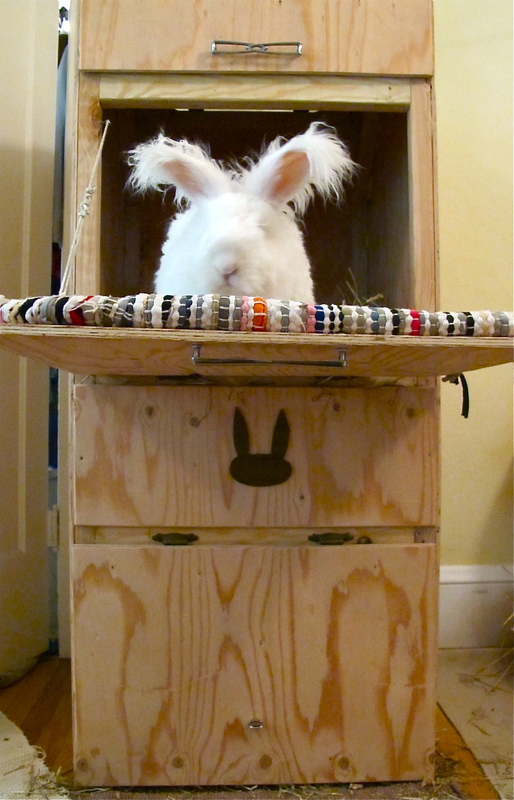 potentially nervous: it's a bun, it's a box, but it's not a feeder. it's a bun, it's a box, but it's not a feeder. there seems to be a little confusion about this contraption. so in the next 5 minutes, before mr. perfect hustles me off to work, let's see what i can do to clear it up. this is a container designed for holding a bale of hay. it's not a feeder. the main part of it's design is about containing the mess of a bale of hay once you take the binding twine off. side note: i called my hay bale place and my bales weigh about 70lbs not 50. so even a better deal! nuage never sits there, he's just being exploited for the blog and to give you a sense of scale. in other words, he never eats out of this box. he eats out of his litter box, it sounds gross to us, but they don't seem to mind. they sit and do their business in the back of the box, while eating out of the front of the box. uh oh, i've just been given the "it's time to go!" warning so i may not be able to do anymore explaining until later. hopefully these photos are explanation enough, but for you newbie bunny owners out there, i want to make this extremely important tutorial much more comprehensive....send any questions my way. more later, alligators! Of course since we don't really know who big Nuage is the scale is rather ambiguous.....he seems so very, very large you know. D, tomorrow i'll photograph him with the blender, hopefully that will help you. I knew it wasn't a feeder but it reminded me of a feeder I found online that looked a little like that, designed to hold a "mini-bale." But, I think my buns prefer to eat out of the box. Sorry if I confused anyone! Near the blender, not in the blender I hope.